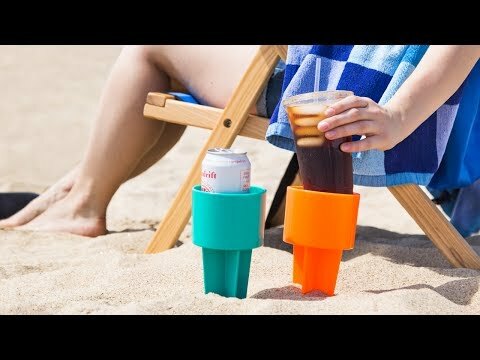 Where do you place your drink while at the beach or lake? 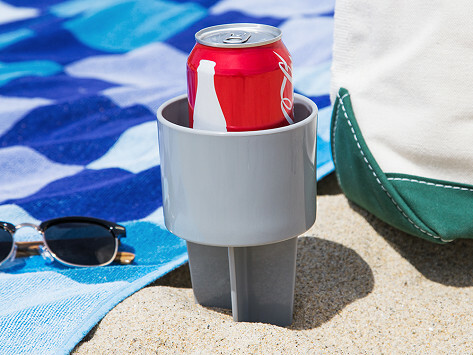 This Made in the USA beach cup holder does the dirty work for you. Its bottom anchors to the sand, and keeps the top elevated so your drinks, phone, glasses, keys, and other essentials stay clean and dry. Need a shouvel to put in the beach. Needs to have a point the beach sand is to hard to use!